I hope y’all won’t mind me taking a vacation day today. I’ll be back next week after some much-needed recharging of the batteries. I haven’t literally gone fishin’. I went fishing once with my dad when I was little, and despite enjoying the boat ride and the time with him, I didn’t care much for hooking the bait or watching the fish writhe at the end of the hook. My husband also reminded me that I couldn’t literally go fishin’ because I don’t have a fishing license. So I’ve gone fishin’ figuratively. What are the ways you go fishin’ when you need to unwind and recharge? 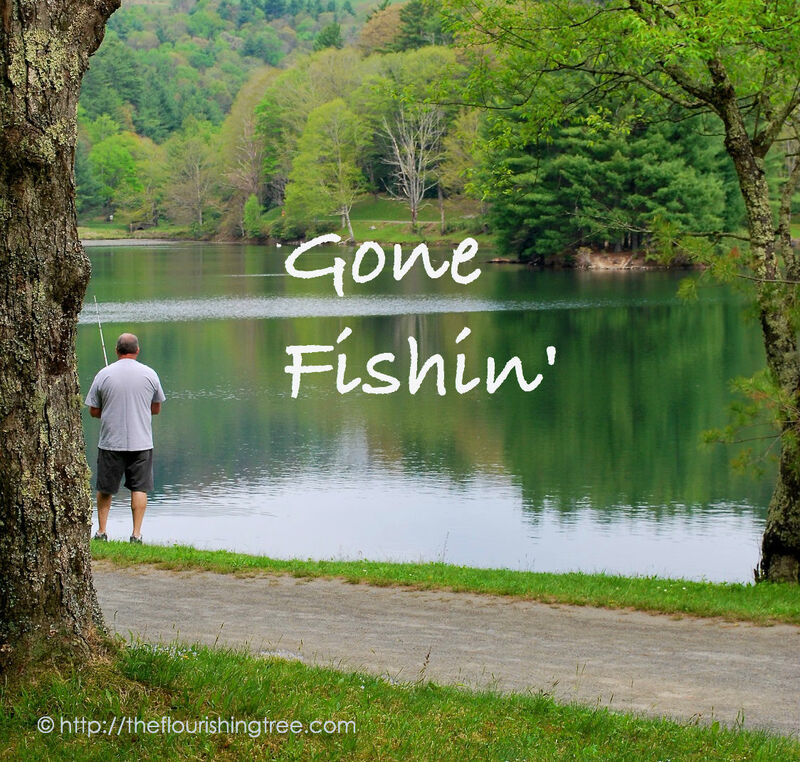 This entry was posted in flourishing tree and tagged Gone fishin', summer, vacation by hopesquires. Bookmark the permalink.